HOME SERVICE LOCATIONS: MAKATI, MANILA, QUEZON CITY, MANDALUYONG, SAN JUAN, PASAY, PASIG, TAGUIG. Lifestream. American Heritage. American Home. Matrix. Victory. Winner. Galilee. Hyundai. US Tradition. Promac. Daewoo. Dowell. Eureka. Hanabishi. Iwata. Camel. BestLife. Durastar. Chillian. JT Platinum. Crystal Mountain. GE. Mitsu Tech. Midea. Living Water. Easy Flow. Tamashi. Wimpex. Sapoe. EasyFlow. Clover. Pelican. 3D. UK. Atlantic. 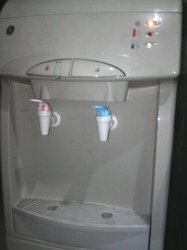 We also do repairs on COIN-OPERATED Water Dispensers and cold (electronic) water dispensers. Servicing water dispensers since 2009.